Westhaven Golf Club | Oshkosh's premier public golf course. Oshkosh's premier public golf course. Westhaven Golf Club was designed by renowned landscape architect Homer Fieldhouse, who in his lifetime designed over 60 golf courses in Wisconsin; it was built in 1968 by Robert Stauffer Sr. and Finton Flannagan. It has been privately owned and operated since its inception. The golf course is located on the west side of Oshkosh, where previously there had been mainly farmland. In fact, there are still many mature trees dating back prior to construction, and hundreds of trees have been added in the more than forty years since. 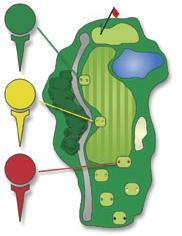 Along with the forested areas, Westhaven features ponds and natural areas in its’ Par 70, 18 hole layout. Open to the public for daily fee play. You will encounter a variety of obstacles to navigate including; water hazards, sand traps, and plenty of trees. With two creeks feeding into ponds- water will be in play on four holes of each nine. 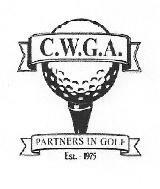 Copyright © 2002-2019 Westhaven Golf Club All rights reserved.